Medicine: Studying at the faculty of medicine at Masaryk University means, to lay the foundation for a successful medical career in one of the internationally most recognized faculties. The study of medicine lasts 6 years. One of the most distinctive characteristics of the MU is the university campus, which has been constructed in 2010. You will study medicine in these magnificent facilities with the best circumstances and the newest technologies and infrastructures. The remarkable facilities have been awarded with several quality awards. 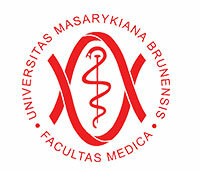 The faculty of medicine at Masaryk University is located in Brno, which is the second biggest and most important city in the Czech Republic, after the capital Prague. Brno is a historical city and a center for culture, economy and administration for the Moravia region. The international airport offers regular connections with many big cities. It is also possible to fly to Prague and reach Brno comfortably with the train. In order to be able to get admission to the faculty of medicine at Masaryk University for studying medicine, you have to pass an admission exam. This exam comprises multiple-choice questions form the fields of biology, chemistry and either mathematics or physics (the student can choose). We will provide you with enough learning material, so you are able to prepare for the exam optimally. The degree is recognized in the USA, the EU, the European Economic Area and many other countries. The faculty is listed in the IMED – FAIMER International Medical Education Directory and in the AVICENNA Directory for Medicine.